Members of successful teams and working groups trust one another on a fundamental level. They are comfortable being vulnerable with each other not only about their strengths, but also their weaknesses, mistakes, shortcomings, and behaviors. They get to a point where they can be completely candid with one another. This is essential because members of teams and working groups who trust one another are not afraid to engage in conflict around ideas, which is the key to individual and group success. They do not hesitate to disagree with, challenge, and question each other, all in service of finding the best solutions to challenges. 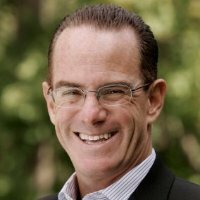 David Langiulli is a certified professional coach (PCC, CPCC) who helps nonprofit executives and their teams flourish, thrive, and get results. David's experience spans the university and corporate sectors for over three decades. Most recently he led a fundraising team at Princeton which consisted of 10 professionals responsible for $35 million in annual support to the University. Several thousand nonprofit leaders interested in self- development, leadership, and management follow David's blog on LinkedIn. He’s a graduate of CTI’s Leadership program and holds master’s degrees in business and engineering, as well as an undergraduate degree in mathematics and physics-engineering. As a volunteer, David coaches youth classes at his Jiu-Jitsu Academy and serves on the Board of Directors of the Association of Fundraising Professionals Collier-Lee Chapter. 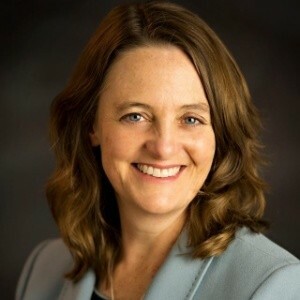 Michelle Maloy Dillon is a certified executive coach and facilitor of experiential learning programs that help individuals, groups and organizations embrace change and consciously create their future. With over twenty years of entrepreneurial experience, she brings a playful and creative mindset to leadership development. Her most recent work involves facilitating leadership development and coaching for executives and front line leaders in the construction materials and banking industries. Michelle is a graduate of CTI’s Leadership program and holds a CPCC certification through the Coaches Training Institute and a PCC certification through the International Coaching Federation. As a volunteer, Michelle serves as a coach for The Coaching Fellowship, a non-profit dedicated to developing young women leaders. Travel costs for onsite delivery are NOT included. Contact David The training includes a DISC Assessment for all participants.